New Jersey's Michael 'Gags30' Gagliano and Chris Moneymaker battled it out in Monday NJCOOP action. The second half of the third annual PokerStars New Jersey Championship of Online Poker continued on Monday two more tournaments and $48,000 worth of guarantees. After taking a trip to the Mohegan Sun in Connecticut to participate in another stop of the Moneymaker Tour, PokerStars Ambassador and one-time World Series of Poker Champion Chris Moneymaker was back inside New Jersey borders and back in the hunt for yet another NJCOOP title. Moneymaker made his presence felt in the first of the two tournaments on the schedule. Event #28 ($300 NLHE Four Max) drew 139 runners which created a prize pool of $38,920. Moneymaker not only made the final table, but he got heads-up for the title. However, he was facing one of New Jersey’s most talented grinders in the #3-ranked US player, Michael ‘J3tBl@ckP0pe’ Gagliano. Galliano and Moneymaker battled it out with Gagliano coming out on top. The Borgata sponsored pro earned $12,439.67 for first place and added a second 2018 NJCOOP title to his long resume. The score was the highest take-home score of the night and puts him in striking distance of $3.5 million in career earnings. For ‘Gags’ it was his tenth NJCOOP cash of the series and second of the evening. Moneymaker, who earned back-to-back titles just last week, was denied his third NJCOOP title but still earned $7,677.74 for his second-place efforts. ‘bvays’ finished in third place for $4,021.60 and rounding out the Four Max final table was Mike ‘MartinChatwn’ Lavenburg finishing in fourth place for $2,559.37. This was Lavenburg’s third final table of the series and fourth cash overall. Event #29 ($500 Pot Limit Omaha High Roller Six Max) brought out 49 players that helped create a prize pool of $23,030. Matthew ‘MattEMenz’ Mendez joined the two-time winners club as he secured his second 2018 NJCOOP title and earned $6,909 for the win. Yong ‘iFoldN0T’ Kwon finished as the runner-up, adding $4,606 to his bankroll. Kwon has had a number of close calls in the past few days, finishing in the top four players three times for his past three results. 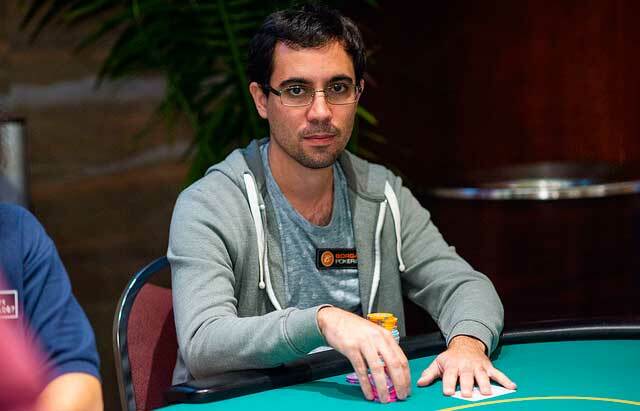 His second-place finish is the most lucrative of his nine NJCOOP cashes. It seems that Daniel ‘loxonbagel’ Buzgon has started a heater himself. He finished in sixth place on the Six Max final table for $1,266.65 and had made the money in each of the last four NJCOOP events.